Dermatology addresses skin health including the diagnosis and treatment of skin disorders. 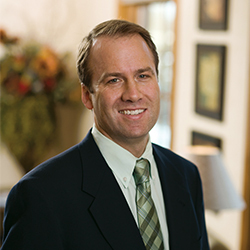 CRMC-Crosby partners with Dermatology Professionals and has one consulting physician for dermatology, Dr. Paul Lundstrom who has been working in the Brainerd area since 2002. Dermatology Professionals is the Lake Country’s regional dermatology office offering comprehensive skin care in a relaxing atmosphere. Experienced staff assist patients in evaluation and management of all their skin care needs. The clinic’s priority is working with patients to maintain the health of their skin and to ensure their experience with the practice is a pleasant one. Providers specialize in treating skin cancer, acne, warts, eczema, psoriasis and many other skin conditions. Services provided include: skin cancer, Mohs surgery, laser surgery, UV light therapy, mole evaluation and removal, acne treatment, psoriasis treatment, and eczema treatment.